Mungeon Sapp was the son of Mary Perkins and George Washington Sapp, and brother to my great-grandfather, Street Turner Sapp. I was recent contacted by his great-great-granddaughter Letitia, who is the daughter of Matthew Bargman, Jr. She contacted me through ancestry.com and she is my daughter's age. The really strange thing is that she was raised in Florida and we both lived in the same apartment complex in Tampa, Florida and the same time. It proves once again just how small this world truly is. Well Letitia contacted me mostly because she saw that I was related to the Sapps and lived in California, which is where many of the Sapps migrated to. 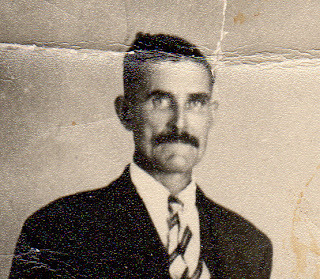 Even though I am not a descendent of Mungeon, I am descendent of his brother, Street Turner, who also migrated to California in his later years. She knew nothing about that part of the family, she only knew that her great-grandmother was Minnie Sapp, Mungeon's daughter, who married Arthur Bargman. This is just one more connection to another leg of the Sapp tree, and I am steadily working to make more of these connections.